If you’re looking for a new vehicle, then chances are you also are or will be looking for vehicle financing. It’s just a fact of life for most people. And it probably is your goal to land vehicle financing without breaking the bank. Compare interest rates (APR) at banks, credit unions and online-only lenders, and ask about fees and early payoff calculations. When you’ve found the best outside loan, apply and get preapproved. Then visit the car dealer with a check in hand to cover the purchase. Don’t be afraid to explore vehicle financing available at the dealer or from the automakers’ captive finance companies to see if they’re offering lower interest rate incentives. If you realize after the fact that you got a bad car financing deal, seek an auto loan refinance. “If you have excellent credit and you know it, you can usually get the best financing rates right from the dealership, who serves as a broker for multiple lenders. With great credit you may qualify for incentive 0 percent APR or other low financing rates,” reported the website moneyunder30.com in a recent article. And even if your credit is “sub-prime,” don’t let it discourage you from seeking vehicle financing. 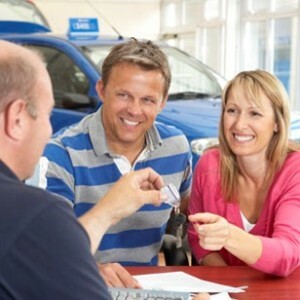 Some lenders, such as RoadLoans, a trusted lender of Cars.com, specialize in providing credit to the sub-prime market. The higher your credit score, the more options you will have available to you with your vehicle financing, such as higher loan amounts and better interest rates, according to RoadLoans.